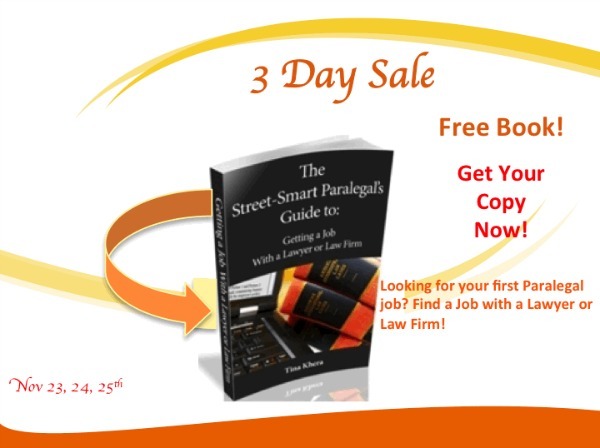 Paralegal programs are great to teach you the basics – how to write, how to analyze, different areas of law, etc., but they limit your exposure to what happens next. Sure, a career advisor will spend 1-2 days explaining how to format your resume, how to draft a cover letter and how you can go to them to critique it and get help with your job search. But think about it – you were just in a class with at least 20-30 other aspiring paralegals that learned the same things you did. After all, the structure of the paralegal program has to be consistent for all of its students, from the courses they offer to the career advice they give at the end. Plus, once you’ve completed the program, you’re no longer classmates. For the most part, you’re all competing for the same law firm jobs – along with past program graduates who may also be hunting for a job. Most job-hunting guides have the same problem. Because they are intended as a general, how-to guide on finding a job, the majority give you a one-size-fits-all approach that may or may not work for you. The way to get an edge is to make yourself stand out. But how? 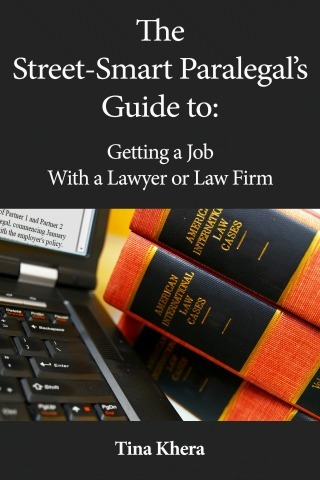 Instead of the usual job search advice, this guide gives you a step-by-step system to find the paralegal job of your dreams! I’ve got a confession to make: I’m addicted to self help books. I’m not one of those people who can make a choice and just see where it takes me. Whenever I’m about to start something new in my life, I read tons of books and articles to help me along. I also listen to podcasts, watch videos, and talk to other experienced professionals. That way, I can get a general idea of what to expect before I get started. For instance, with the way the economy has been, I wanted a way to use my skills in several different ways. I’ve been a paralegal for several years, and I’ve done the whole job hunting thing many times over, sending out resumes, preparing cover letters and interviewing. I’ve done the same thing so many times, that I could do it my sleep. Despite that fact, I still regularly review job hunting and entrepreneurship books to see if I can learn anything new to better help the people I work with. Tina Khera is a highly respected paralegal, with an impressive career spanning many years. After graduating from UC San Diego in 1999 with a Bachelor’s Degree in Sociology, Tina tried her hand in law school and then decided to complete the Attorney Assistant Training Program at UCLA extension, approved by the American Bar Association. Tina began her paralegal experience with a construction defect law firm and then with lawyers and law firms in a variety of areas, including contracts, enforcement of judgments, collections, liens and personal injury. For over seven years, she worked for a criminal defense attorney, performing legal research, preparing motions and other paralegal work.